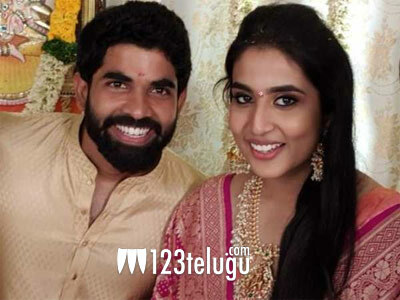 A couple of days ago, star Tollywood director Rajamouli’s son Karthikeya got engaged to Pooja Prasad, niece of senior hero Jagapathi Babu. The engagement was a simple affair, with only close family members and friends gracing the occasion and blessing the young couple. According to the latest reports, Karthikeya and Pooja’s wedding will take place in December. The wedding will be a grand affair, the reports reveal. Pooja is a trained classical singer and had released a devotional album in the past. On the other hand, Karthikeya works in the direction and production departments of his father’s movies, besides his own business ventures.